Can you even save for a house while you’re paying down student loans? It is no walk in the park to save for a house while you’re paying down your student loans. Especially if you are making a low to average income. However, like with most things worth doing in life, it is possible to achieve this very goal. Student loan debt, at the core of it, is just like any piece of debt you have. Credit card debt would not necessarily stand in your way of owning a home — if you’ve kept up with the payments. So if you’re current on your student loans, it should not be a problem to start planning on buying a home. 1. What Is the Price Range of Homes in the Area Where You Want to Live? That being said, there are a few factors to consider as you begin to save for a house. This will help you calculate how much of a down payment you will have to make so you can save towards it. It will also help you estimate the mortgage payment you’ll be making each month. Zillow is a great place to look for this information. Homeowners Association (HOA) fees, insurance, taxes, interest, and utility bills add to the cost of a home significantly. Will your savings — and ultimately your income — be able to cover all these costs? Your debt-to-income ratio is all your monthly debt payments divided by your gross monthly income. And so, if you make $3,000 gross from your current job monthly and your total debt payments are $600 per month, your debt-to-income ratio will be calculated like this: (600 ÷ 3000) × 100 = 20%. 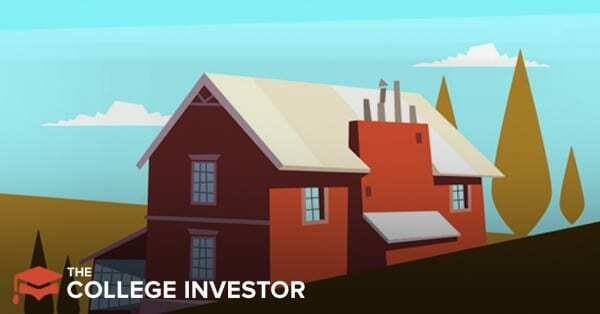 According to the Consumer Financial Protection Bureau, it is recommended that your debt-to-income ratio be at or below 43% in order to be approved for a mortgage. You can do a quick calculation for yourself using this formula to see what your debt-to-income ratio is. Your debt-to-income ratio will also determine the interest rate you will be offered. Thus, if you really are not making that much money in comparison to your current student loan debt (and overall debt), it is unlikely you will be approved or get favorable interest rates. As far as practical steps you can take to save for a house goes, here’s what I recommend. Increasing your income will also help with lowering your debt-to-income ratio. Out of sight, out of mind. This is very true about money. If you use automatic savings apps like Qapital , a deposit into a special savings account can be triggered every time a paycheck hits your bank account. If your student loan payments are too high and this is standing in your way of saving for your house, you can refinance your loans. It is possible to decrease your student loan payments through refinancing. We created the Ultimate Guide to Student Loan Refinancing for this reason. Check out that article to determine which refinancing programs will work for your situation. Just off the top, however, I highly recommend Credible for refinancing your student loans. You can check them out here. There are a myriad of ways to pay off your loans quicker than usual. A search into federal and state forgiveness programs, employer-based tuition reimbursement programs, and loan forgiveness for specific professionals like teachers and nurses will provide you with solutions that will help you get a portion — or in some cases, all — of your debt forgiven and/or paid off. 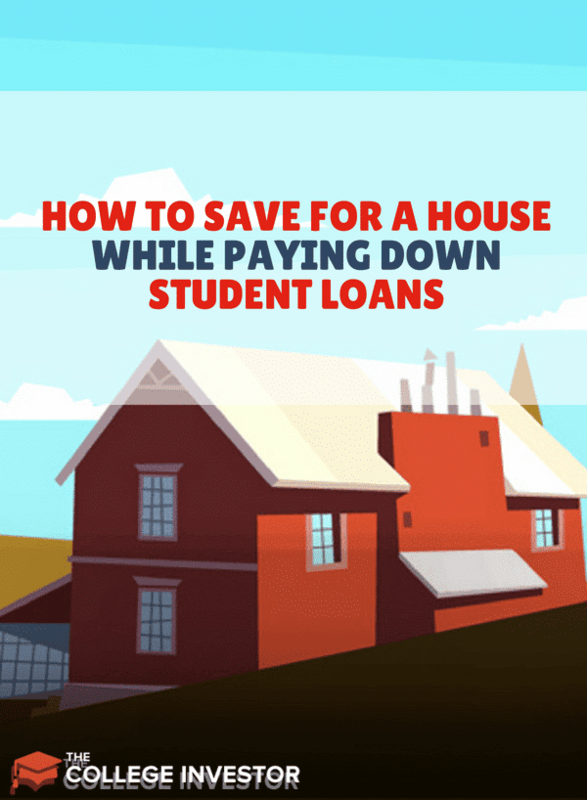 With the burden of student loan debt off your shoulders, it becomes easier to save for a house. If we’re all willing to admit it, we will agree that there are expenses on our bank statements that can be cut out so we can save more money. During the season of saving for your house while aggressively paying off your student loan debt, perhaps paying $100 for cable may not be worth it. It takes having an honest conversation with yourself. Ultimately, only you can decide what an unnecessary expense is. It might feel difficult living below your means while you save up for your house; however, if homeownership really is the goal, it will be worth it in the end. Saving up for a house while paying down student loans will take some hard work and strategic planning. However, the point of this post is to let you know that it is doable. The bottom line: a mortgage is debt too. Working towards complete debt freedom is therefore a goal that should be at the center of all your decision-making. Have you saved for a house while paying off your student loan debt? Were you successful? We would love to hear your insights on how you did it in the comments below. What if your debt-to-income ratio looks bad but it’s all student loan debt which will be forgiven because you are in income-driven repayment? i.e. the debt has no adverse effect on your ability to pay a mortgage.